The period between the early 1930s and 1946 witnessed in Iran an intellectual phenomenon unique in the recent history of that country. This phenomenon was embodied in the person of Ahmad Kasravi (1890-1946), one of the illustrious figures of Iran in the realms of scholarship and social reforms. Kasravi was a man of considerable and varied intellectual talents and great courage. His activities were spread over a very wide range. He became the center of many controversies, not the least important and widespread of which was that concerning classical Persian poetry. It is with this aspect of his work that the present series of papers is concerned. The three-part series will be devoted primarily to the presentation of Kasravi's ideas on the subject, the arguments of his opponents against him, and his reaction to those arguments. This first installment will present Kasravi's arguments, and will consist of three parts: (A) a brief outline of his life and activities, and his motives in those of his activities which included his critical evaluation of Persian literature; (B) the premises on which he based his analysis of poetry; and (C) his analysis particularly in regard to the poets Khayyam, Rumi, Sa'di, and Hafiz. Ahmad Kasravi was born in 1890, in the city of Tabriz, seat of the Iranian northwestern province of Azerbaijan. He received a religious education in Tabriz, where he attended the traditional maktabs and madrasas, studied the modern sciences on his own, and learned English at the American missionary school. At the age of twenty he reluctantly joined the clergy, forced by his relatives and in compliance with his late father's expressed wishes.In less than two years, however, his unorthodox sermons and liberal activities, intensified after the Russian forces occupied Tabriz, added to his already well-known open-minded and liberal views on religion, attracted increasingly intense hostility from other religious leaders, and he left the clergy. Aftera short period of teaching secondary-school Arabic in Tabriz, and about six months in that city's Department of Justice, he went to Tehran, where he started a career in the Ministry of Justice which lasted some twelve years and took him all over the country on important assignments, usually as a 'trouble shooter' handling explosive situations. After the last of these assignments, which was in the southwestern province of Khuzistan and had political ramifications, he returned to Tehran in early 1925. After a short term as District Attorney for Tehran and a brief interlude as a lawyer, he was appointed President of Courts of First Instance in Tehran. It was in this post that, in 1929, he returned a verdict against the Royal Court in favor of a group of peasants. He left the Ministry of Justice soon afterward, and reopened his law practice, which he continued for many years. For a while he also taught history in the University of Tehran, which, as we shall see (in the second installment of this paper), he left because of his unwillingness to retract his statements on Persian literature. While still a young man in Tabriz, Kasravi became a serious seeker after knowledge and a bold, unorthodox examiner and questioner of well-established ideas and traditions, both in matters of scholarship and in matters which had to do with society and culture. He became an avid reader and, in time, developed an acute critical sense which penetrated beyond the surface of age-old and universally held dogmas and assumptions. Kasravi's major scholarly interest was history, to which he later added linguistics. In the former field his masterpiece is the multi-volume history of the 1906 Iranian Revolution, constitutional government and subsequent events until 1924.The final version is a work of first-rate historical scholarship. It was the first well researched, methodically done record of a very important and exciting period in Iran's history, and remains the most reliable and honest Iranian treatment of the period, though it no doubt contains errors of fact and perhaps also of interpretation. He also wrote several other important books on the history of Iran. His publications in linguistics include a very significant monograph in which he introduced and discussed Azeri, an Iranian dialect which was the language of Azerbaijan before it was replaced by Turkish, and a study of some 8,000 place-names in Iran. He also extensively published his views on reforming the Persian language. Kasravi is best known outside of Iran for his scholarly work, which is praised and frequently referred to. He retained interest in history and linguistics until his death, but in the early 1930s he began a new phase in his career, in which he studied Iran's social problems in great detail and suggested solutions for them. He combined his teachings into an ideological whole, which he often referred to as Pakdini, and sometimes as Azadigi. He considered this aspect of his activities as his true mission in life, and thenceforward subordinated everything else to it. 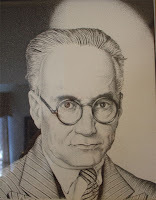 Kasravi first presented his social views in the newspapers in the late 1920S and early 1930s, and then in a two-volume book published in 1933-4 which received a good deal of attention in Iran and elsewhere. But the major vehicles for spreading his views from 1933 on were two periodicals and a daily paper, all of which he edited and published, some sixty books, and frequent lectures (usually to small groups). His social writings enveloped the entire range of culture, including religion, philosophy, economics, education, government, women, and literature. In his prolific social writings Kasravi expressed his views with boldness and persistence, rejecting any kind of compromise. Hardly any cultural sacred cow was spared his severe and sometimes cutting critical whip. He found a friendly and sympathetic audience - first quite small, later somewhat larger - mostly among the educated youth, but also among those with little or no education. Around his ideas was formed an ideologically based reform group, called the Pakdinan or Azadigan. The group grew larger gradually and became increasingly more active, particularly after 1941, when freedom of assembly and organized activity was restored in the country. It is still active, and Kasravi's writings are still widely read, some of his books having gone through several editions. The activities of Kasravi and his supporters brought about widespread intellectual ferment, even if they are no longer as much in evidence as they were during his own lifetime. They have also aroused vehement and violent opposition from powerful groups in many quarters, including the clergy and the government. Some of Kasravi's books were banned, and his supporters have, from time to time, been persecuted, or at least socially ostracized. Threats were made on Kasravi's life, and one unsuccessful attempt was made to assassinate him in 1945. He was charged in court with 'slander to Islam', and was finally assassinated on II March 1946 during the last session of the preliminary hearings on those charges, held in the Palace of Justice in Tehran. Kasravi's interest and motive in studying and writing on Iranian society and culture, in its many aspects, were evidently far from purely academic. He saw a society which had become decadent and weak, and he wanted to evaluate the reasons for this despicable state of affairs and to find ways to remedy the situation. In his search both for cause and cure he looked back in history, of which he had a profound knowledge, and at human psychology. It was in this broad context that he developed his views on Persian poetry. Perhaps the two terms which best describe Kasravi as an intellectual leader, social reformist, scholar, and person, are 'rationalist' and 'iconoclast' - the latter in a sense a natural consequence of the former. Both of these features of his character were conspicuously evident in his pronouncements on Persian literature. He first began expounding his views on the subject in a systematic way in 1934 in his journal Peyman, which remained the major outlet for his ideas until 1942. To the articles published there and elsewhere he added two monographs. In fact, however, there is hardly any of his works on social subjects in which he does not, directly or indirectly, touch on the subject. In his analysis and evaluation of Persian poetry, Kasravi proceeded from certain premises. The most important of these, his starting-point underlying all his social writings, was the idea that 'the source of man's actions is his brain; and the brain is governed by the ideas that are in it'. In other words, education, taken in the broadest sense - whether or not deliberate and/or structured, whether positive or negative - influences the individual. He is shaped, his mind influenced, his actions governed and directed, by all that enters his brain; his attitudes and motivations are formed, for the most part, by all the ideas to which he is exposed throughout life. Since poetry is one of the sources of ideas, especially in Iran, where people are exposed to it on a very large scale, Kasravi's motive and guiding principle in the analysis of Persian poetry, and the place of that analysis in his work on Iran's social problems, should not be difficult to understand. Another of his premises was that poetry is only embellished speech, to which rhyme and rhythm and other artistic decorations are added, and that speech is not an end in itself. Embellished speech, he said, is not bad; indeed, it is good to pay attention to how one expresses oneself, to utter eloquent, well- arranged speech. Speech, however, is not an end itself, but a means for serving other purposes. It should be employed only as often and as much as needed. For Kasravi, in poetry as in prose, meaning is the important thing; form is secondary. Between an artistically (i.e. formally) perfect poem with harmful content and a poem less perfect in form but more acceptable in terms of content, he would readily choose the latter. This premise that of the primacy of content over form (which was by no means new with him) - is, of course, quite in keeping with the other premises; it is in a sense a logical extension of them. It is well, at this juncture, to point out first that Kasravi concentrated on poetry only because it comprised the bulk of Persian literature, and he spoke of Persian poetry because he lived in, and was primarily concerned with, Iran. Secondly, he wished to apply the same principles and criteria to prose and, in the end, to all literary genres and forms, and to all literatures, not only Persian. Thirdly, the bulk of his writings on Persian poetry concerned the classical period of Persian literature, which is generally considered to have terminated at the end of the fifteenth century. However, this was due only to the fact that the mass of Persian poetry, especially the type to which he objected, was produced during that period. Kasravi condemned much of Persian poetry for what he called the 'evil teachings' of many poets. He cited extensively from the work of these poets, particularly from the four most celebrated and revered poets - Khayyam, Rumi, Sa'di, and Hafiz. According to Kasravi, Umar Khayyam was, first and foremost, a Kharabati, a term which appears frequently in classical Persian poetry to mean 'a haunter of taverns'. Kasravi said that Khayyam was the founder of Kharabatigari, which could perhaps be rendered as 'toperism' or 'tavernerism' in English, and which he considered as the root of Khayyam's basic philosophy. According to this idea, life is a futile thing. We do not know whence we have come into this world and whither we are going; nor why we are here and what we should do. Hence, we must not bother with the past nor think of the future. Instead, we must make the best of the here and now, and have a jolly good time. We must take refuge in wine, and forget our cares and concerns. With this philosophy Khayyam combined fatalism. Kasravi denounced the poet's philosophy, his preaching of futility and idleness, his insistence on fatalism, his excessive praise of wine. Some people pointed out that many of the quatrains attributed to Khayyam were actually not his. Kasravi accepted this possibility, but reminded them that he was concerned with the body of poems attributed to Khayyam. He told them that their argument was, at any rate, an excuse, since it was this body of poems to which they were attached and which they so strongly praised, regardless of the actual authorship of each piece included in it. In the context in which he was talking, the question of actual authorship was irrelevant. As to Khayyam the mathematician and astronomer, he said that he considered him a scientist and had never belittled him. As for Rumi, he was a Sufi mystic and preached Sufi ideas. The Sufis believe that man can join God and become one with Him. Kasravi considered this, with its ramifications and implications, as nothing but a series of unfounded and confusing delusions and hallucinations. The Sufis conclude that there are no such things as good and evil or salvation and damnation. This view, in Kasravi's opinion, is utterly wrong; it is the basis of other misleading beliefs and has done untold harm. He asked why, if there are no such things as good and evil, should there be education or religion or any attempt at guiding mankind? The Sufis contempt for life also was rebuked by Kasravi, who believed that life is meant to be enjoyed. Sufism, in fact, was a major object of Kasravi's attacks and a subject on which he wrote extensively as one of the chief causes of Iran's problems. This is not surprising for, despite its positive aspects (at least some of which Kasravi acknowledged), Sufism has indeed had 'deleterious effects' on Persian culture, as pointed out by Professor Jan Rypka, who believed that Sufism, which he said at first expressed the opposition of the towns and guilds to the courts and feudalism, ultimately [served] the feudal lords as a means of retaining power by deluding the people as a whole. On the other hand, Professor Rypka reminds us, mysticism is known to be a phenomenon accompanying economic depression. This fact would seem to be fully corroborated by the Persian people, who suffered atrociously from continual invasions and were exploited and plundered most shamelessly by the ruling classes. Kasravi might agree with Rypka on this point, but would blame the Sufis, especially their leaders, for contributing, through their teachings, not only to the economic problems of Iran, but, even more important, to the general decline in morale and in morals. And he would certainly agree with what Rypka went on to say on the negative aspects of Sufism; he would in fact concentrate on those aspects. Some of these are, in Rypka's words, 'aversion to the world', 'contempt of the intellect', the conception of "pure love", which, among other things, promotes homosexuality, and an extravagant reliance upon God (tavakkul) which leads to passivity, quietism and inertia among the people in general, and to vagrancy among the dervishes. Rypka pointed out the negative effects of Sufism on Persian literature, effects which Kasravi, in his concern for society as a whole, would find far less disastrous than the literary critic would assume. Sa'di's poetry and prose, in Kasravi's analysis, contains all kinds of evil teachings. He persistently encourages fatalism. He presents, approvingly, the Sufi ideas on the worthlessness of life and the world. He preaches cowardice and hypocrisy. He is a shameless flatterer of the powerful and the wealthy. And he sometimes contradicts himself. Of his Gulistan, Rypka said: The social conditions of the period are mirrored in the Gulistan with all the specific virtues and vices of the Persian people. Oriental utilitarianism predominates, convincing proofs are given of the absurdity of the absolute axiom. In the controversy between wealth and poverty, Sa'di ironically praises the rich man. Kasravi chastised Sa'di severely for lavishing praise on worthless and cruel men. Rypka had this to say on the subject: Sa'di himself says that he was driven by poverty to write panegyrics. But what must one think of a moralist who glorifies Hulagu-Khan, the man who had executed the Salghurid Seljuq-Shah,the same man whose praises our poet had sung a few months previously; who, forgetting that after the terrible devastation of Baghdad he had written a long elegy mourning the Caliph al-Musta'sim,who in turn had been made to suffer a most cruel death at the hands of none other than the same Hulagu Khan? Kasravi could answer this rhetorical question quite easily, for he had no hesi- tation in considering Sa'di, on the basis of the poet's own writings, an unprincipled and immoral person. Indeed, Kasravi found the poet's elegy on the Caliph al-Musta'sim also objectionable. Why is it, he asked, that Sa'di is so extravagant in mourning the death of one man, but forgets the thousands upon thousands of other people- men, women, and children massacred by the Mongols? Kasravi found Sa'di's ugliest, most indecent writings in the fifth chapter of his Gulistan. This is the chapter entitled 'Love and Youth', in which he talks openly of homosexual adventures. Kasravi found the open references to homosexuality in Sa'di and other poets extremely offensive and objectionable. He decried in the strongest of terms the publication of such harmful materials and the availability of them to innocent children and young people. At a meeting with Persian Prime Minister Foroughi he produced several current newspapers containing poems with homosexual contents, and requested him to prevent the publication of similar poems in the future. According to Kasravi, Foroughi promised to do so, but nothing happened until Kasravi repeated his request to the latter's successor, Jam. Kasravi's attacks on Sa'di did not prevent him from recognizing that poet's stylistic merits, both in poetry and prose. In fact, he frequently recommended Sa'di's Gulistan as an example of good prose style to be imitated today, sometimes referring to the book as the best in the Persian language from the point of view of style, though - he emphasized - not of content. The poet most discredited and despised by Kasravi was Hafiz, whose poetry he discussed at greater length than that of any other, and who was the only poet to whom he devoted an entire monograph. Hafiz, Kasravi reminded us, was familiar with many things Islam, Sufism, Greek, Kharabatigari, philosophy, Iranian history and mythology, astrology, and the teachings of the fatalists. Kasravi claimed that there are contradictions among some of these, but that Hafiz, though primarily a Kharabati, was not seriously attached to anything; he simply used the concepts and terms found in these various sources in his poetry, which, for that reason, was confused and full of contradictions. His evil teachings included exaggerated praise of wine, very frequent disparagement of life and the world, encouragement of idleness and laziness - even shameless beggarliness - fatalism, bold blasphemy, and scorn of reason. Some of his poetry consisted merely of meaningless jumbles of words, foolish prattle, and muddled incoherent nonsense. He was a drunkard, a parasite, and a flatterer. He shamelessly boasted of homosexuality. In short, Hafiz was the worst of all poets, combining the faults of the other three already discussed, and adding some of his own. Hafiz, Kasravi pointed out, was traditionally better known in Iran and, furthermore, had received far more attention in recent decades, than any of the other Persian poets. There were more editions of his diwan than those of any other, and quite likely more studies devoted to him. He had come to enjoy considerably more prestige in Iran than the other poets and, consequently, Kasravi felt that his evil teachings should be fought more vigorously. It is often attempted, by those opposing Kasravi, to show that Hafiz poems should be taken, not literally, but as symbolic expressions of lofty ideas and themes. Kasravi disagreed with this view. He pointed out, as others have, that it is often clear from the context that such words as 'wine', 'love', etc., were used by the poet in their literal senses. Furthermore, he found this kind of figurative language objectionable to begin with. If, for example, Hafiz used the phrase pir-i meyfurush 'the old wine-seller' to mean the Imam Ali (the prophet Muhammad's son-in-law), as is often claimed, that very fact is a mark against the poet, who should be rebuked for such a disgraceful reference to Ali. There is evidence indicating that Hafiz did not always enjoy a good reputation with his own contemporaries or with later generations. According to Rypka: There can be no doubt that in spite of all the mystical camouflage the ancients rightly scented the infidel in Hafiz. This is attested by the anecdotes concerning the refusal of a ritual funeral and the threatened destruction of his grave under the Safavids. These accounts were certainly invented [Rypka believes], though in essence founded on truth. No less significant is the euphemism of the assiduous Jami [the fifteenth-century poet, considered the last of the great Sufis], who lived soon after, to the effect that it was impossible to ascertain to which Order Hafiz did belong. Somewhat more openly, and less tactfully, Kasravi would probably say: 'to none, and to all'; for Kasravi considered Hafiz, over and above everything else, an unprincipled, flighty, ever changing man, adhering to nothing permanently or profoundly, and not even caring for his own good name. Kasravi mentioned these four poets - Khayyam, Rumi, Sa'di, and Hafiz, especially the last of these most frequently, and discussed them at greater length than he did any other. This is because they were the ones most widely read, most dogmatically admired, most extravagantly praised and, therefore, according to his premise that the mind is influenced by what is presented to it -those that had done, and were doing, most harm. Now and then he mentioned some of the other poets by name, such as Anvari, Attar, Nizami, Iraj Mirza, and others, but he did not analyse them or others in great detail. These and many other Persian poets, Kasravi contended, have exerted harmful influence on the morals, the mind, and the morale of Iranians, rendering them - or a large number of them - unfit for a decent life. They have done this through their 'evil teachings'. Many of these teachings have been mentioned. Among the worst of them was fatalism. Another was taqyya - dissimulation in matters of religion (and, by extension, in other matters), a feature of the Shi'a sect of Islam. Kasravi also took Hafiz, Rumi, and others severely to task for their disdain of reason. To make matters worse, in Kasravi's view, many of the teachings embodied in Persian poetry are in conflict with one another. No wonder, therefore, says he, that the people of Iran are a confused, perplexed, indecisive people. Or that, exposed to such a vast array of conflicting ideas and teachings found in poetry, their mental and spiritual faculties have been weakened. This theme - that of the harm done by exposure to conflicting ideas and philosophies - is one that Kasravi applied to all cultural institutions, including religions. He pointed out that in Iran there were contradictory teachings within the various sources of ideas as well as among them, and that the total result was one of utter mental and spiritual confusion. It was not only through their teachings that many poets had done harm, according to Kasravi. They had also set bad examples of conduct in their personal lives. Worst of all, they were incurable flatterers. They composed panegyrics in which they praised in the most extravagant terms wealthy men or men of power, many of whom were at best worthless. At worst, these men were unjust, cruel, and morally corrupt. Some poets even lavishly praised blood thirsty beasts (as he would unhesitatingly refer to them) such as Tamerlane, Hulagu, and the like. Flattery, he said, is, first of all, degrading. When a man makes a business of it, earning a living by it, it is even worse. And it is most repulsive when the object of flattery is a corrupt person or a tyrant, when someone applauds and praises such a person rather than condemns and censures him. Secondly, these eloquent poets invented excuses for every heinous act of their tyrant patrons, and by doing so they rendered a doubly harmful dis-service. On the one hand, they encouraged rulers in tyranny, drying up the well of compassion, the concern for justice, which may have existed, however weakly, in the hearts of some of them. On the other hand, they encouraged the people to tolerate injustice and cruelty and thus dulled or extinguished the feeling of resentment against tyranny and the desire to resist it that exists in everyone's nature. These poets sought money from kings and princes, using their poetry as their instrument of begging, and reduced themselves to beggars. If the objects of their praise refused to pay them they would, like vile presumptuous beggars, turn around and compose invective satires on them. They used their poetry to blackmail people into paying them money. They might turn to satire, sometimes couched in the coarsest of words, upon the slightest provocation. As a side effect of these extravagant praises (and satires), Kasravi listed the damage they had done to the Persian language. This was accomplished by the fantastic hyperboles which the poets created or perpetuated, some of which, he felt, resembled the delirium produced by feverish sick minds. It is because of these, he said, that in Iran one becomes a thousand, and a thousand is nothing. Persian poets have damaged the language in other ways also; for example, by taking far too much liberty with the syntax, and by undue stress on rhyme and meter. The preceding summary of Kasravi's views might create an impression that the largest portion of his writings on Persian poetry- perhaps all of it, in fact - dwelled on the negative character of that poetry. The impression would not be far wrong. His emphasis was, without a doubt, on the negative aspect. Indeed, there was no single article or monograph of his devoted exclusively to a discussion of anything positive about Persian poetry or to a 'good' Iranian poet. This is not to say, however, that he did not have anything positive to say about any poet. He believed that there were a very few poets of the past of whom Iranians could be proud, and whose names they should keep alive. Nor did he deny that poetry could be more appealing than prose, provided that it was not too affected in form and language. His complaint was that there was entirely too little such poetry in Persian, and that the number of poets worthy of praise was very small. The epic poet Firdowsi was the one most admired by Kasravi for his patriotic poetry and for his service to the Persian language, as well as for the poetic merits of his poems. Among others he mentioned were Sana'i, Nasir-i Khusrow, and the less widely known Abu Hanifa Iskafi. Of recent poets, he had good words for 'Arif, Mirza 'Ali Akbar Sabir, who was connected with Mulla Nasr al-Din, the humorous newspaper of the Revolutionary period, and, particularly, the poetess Parvin Itisami. In praising these and other poets of whom he approved, however, Kasravi did not try to ignore their faults. Thus, he did not care for those of Firdowsi's verses which encouraged dictatorship and blind obedience to despotic rulers, nor did he admire his poetic hyperboles. In the case of Nasir-i Khusrow, Kasravi criticized him for his activities in propagating the Batini religious sect, but approved of his poetry, which he considered a good example of literature. Of Arif, he said that he did have some faults, but that he was a good, honest, brave, upright man, not caring for material things (as did most Persian poets), and was never a hypocrite. Arif was unable, Kasravi said, to free himself from the shackles of traditions in Persian poetry, and so most of his work, written in the old style, was not worth much. The part of Arif's poetic composition which Kasravi considered praiseworthy was that consisting of his tasnifs (ballads), which (being topical, and so relevant to the times in which he wrote them) reflected genuine emotions, and became very popular. We shall have more to say on Kasravi's opinions of Persian poetry and poets later, calling attention to the relevance and importance of considering some of his frequently ignored statements in arriving at a more accurate picture of his views. At this point, it is sufficient to say that the reason for his not writing more on the positive features of Persian poetry was the same as that for his writing more on the poets whose work he judged to be most harmful. In other words, Firdowsi, Parvin Itisami, etc., were far less widely read than were those poets, and their poetry far less influential. A literary critic might take each and every poet and analyse his work. But Kasravi did not write as a literary critic. He was carrying on a campaign against the evils perpetrated in poetry; and he naturally dwelled on those poets in whose works he found such evils. Besides, there was no lack of people writing praises of the poets (good as well as bad ones). There was a lack of writers with enough insight, intellectual honesty, and courage to expose the evils in Persian poetry. And so Kasravi harped on those evils. Furthermore, those who wrote 'good' poetry - that is, poetry which was acceptable by moral standards, and which was not harmful to society - did not rate medals for 'good conduct' any more than an upright citizen who does not kill, steal, or commit other crimes. To be good is normal, and is to be expected of everyone. It is when a person deviates from the path of virtue, and causes harm to society, that he attracts attention and is - or should be - reprimanded or punished. To recapitulate: Kasravi contended that most major Persian poets did not really have anything to say and merely wanted to play with words. They were interested in writing poetry for its own sake, certainly not for any useful or worth-while purpose. For them, content was not of the slightest importance. Anything at all - even nothing - would do for the topic of a poem. As long as such formal requirements as rhyme and rhythm were met, meaning did not matter in the least. The poem might even be completely meaningless gibberish. This lack of concern for meaning was particularly apparent in some ghazals, where each couplet might be entirely unrelated to the others. The poet might go from love in one couplet to philosophy in the next, then praise wine, then jump to fatalism, then sermonize, and so on. He was forced to do so because he was led, not by intelligence and thought, but by rhyme and meter. Much of the damage done by poetry ensued from this urge to compose regardless of whether or not there was something to say. If each poet had been content with composing no more than 100 sound and useful couplets throughout his life, it would have been far better for himself as well as for the people than leaving behind thousands of harmful couplets.